The Under Armour Curry 2 Black Knight release date is set to take place this weekend, just in time to celebrate what looks to be Steph Curry and the Warriors back-to-back NBA Championship. 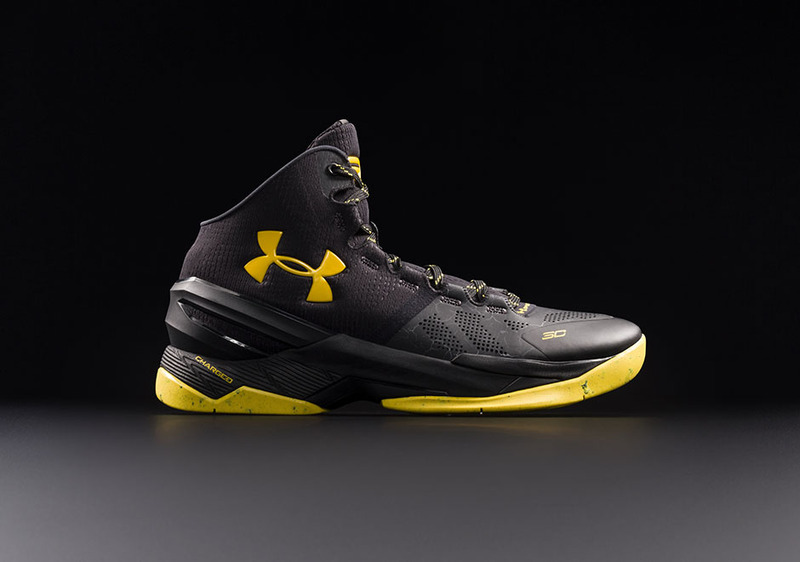 Dressed in the Batman-inspired color scheme, this Curry 2 is officially dubbed, “Black Knight.” The shoe features an all-black upper with crackle graphics and Yellow contrasting accents. Finishing off the look is a spotlight graphic above the Bay on each tongue tag. Check out the detailed images of the Curry 2 “Black Knight” below and look for them to release this Saturday, June 11th at select Under Armour retail stores, including UA.com. The retail price tag is set at $130 USD.